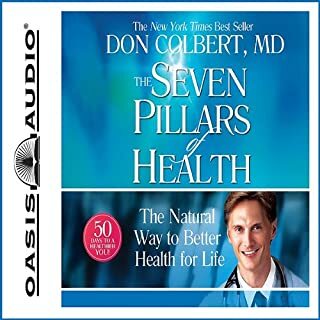 The Seven Pillars of Health A seven-week journey to great health. Americans are the unhealthiest people in the world! Dr. Don Colbert is on a mission to turn that around. His 50-day plan provides information that will not only change your life but also challenge your thinking, motivate you, and impact your entire community-forever. Despite what you might have heard, diabetes is not a lifelong condition. It does not have to shorten your life span or result in high blood pressure, heart disease, kidney failure, blindness, or other life-threatening ailments. In fact, most diabetics can get off medication and become 100 percent healthy in just a few simple steps. 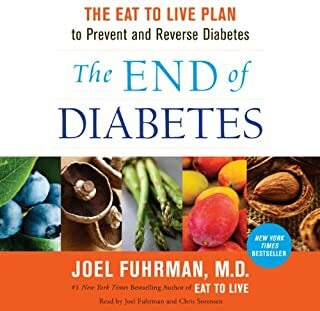 In The End of Diabetes, Dr. Joel Fuhrman shows how you can prevent and reverse diabetes and its related symptoms and lose weight in the process. 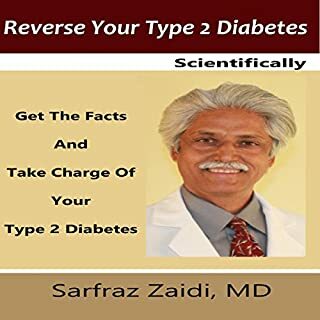 There is a common misconception among patients as well as physicians that treating type two diabetes means controlling your blood sugar by any means. This approach is dangerously flawed. The fact is that type two diabetes is a complex disease process. If not managed properly, it often leads to a number of horrendous complications. Sometimes, medications can cause more harm than good. In The Diabetes Solution, Dr. Jorge Rodriguez and dietitian nutritionist Susan Wyler tell you everything you need to know about this increasingly common disease - from diagnosis to treatment - including the difference between prediabetes and diabetes, ways to prevent serious complications, and the most effective medications and when to start taking them. Many studies prove that a minor weight loss of five to seven percent can make a huge difference in blood sugar levels and diabetic status. Dr. Tony Hampton provides you with expert advice on how you can reverse your diabetes through diets and lifestyle choices. This is done by recognizing that your elevated blood glucose is only a symptom of Type 2 diabetes. The real cause is insulin resistance which should be your focus. 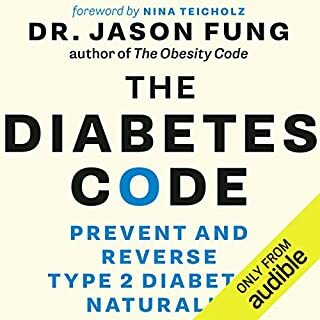 The extensive research, personal stories, motivation, and direct lists about what foods should and should not be eaten provide the foundation you will need to reverse or prevent diabetes. Do you want to overcome and even reverse diabetes naturally, safely, and without medication? Is diabetes stopping you or someone you know from fully enjoying life? Does diabetes run in your family, and are you worried about the possibility that you might be next? Would you like to know exactly how you can manage and even reverse the condition naturally and safely? If so, this book will provide you with the answers you've been looking for! This handbook is an easy-to-hear guide on how to manage your blood sugar primarily through diet. It is written clearly and concisely, explaining the difference between the two diseases in a way that is easy to grasp. Wein includes concrete examples of what to eat and what to avoid. He talks about the importance of exercise and provides information about medicines in a way that the layman can comprehend without needing to know medical terminology. Dr. Hyman's revolutionary weight-loss program, based on the #1 New York Times best seller The Blood Sugar Solution, supercharged for immediate results! The key to losing weight and keeping it off is maintaining low insulin levels. 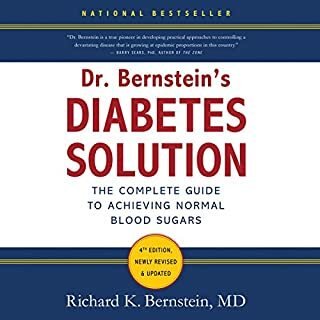 Based on Dr. Hyman's groundbreaking Blood Sugar Solution program, The Blood Sugar Solution 10-Day Detox Diet presents strategies for reducing insulin levels and producing fast and sustained weight loss. A book to be bought in paper format, not as audio! 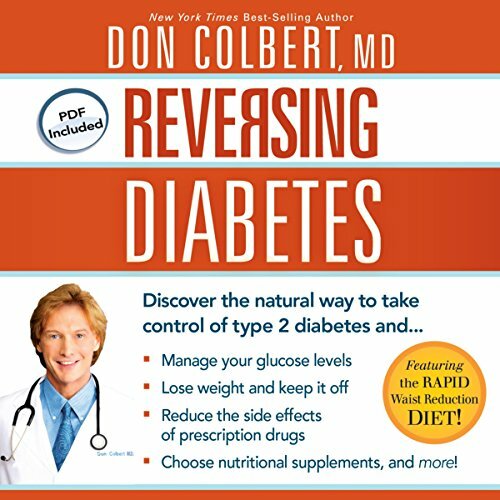 It is possible to manage and even reverse diabetes through natural means, and in Reversing Diabetes, Dr. Colbert shows you how. Most people view diabetes as a dead-end street - once you receive a diabetes diagnosis, your only option is to manage the symptoms with a restricted diet, close monitoring of blood sugar, and expensive medications. Dr. Colbert shows that diabetes can be treated instead through safe, natural means, like healthy food and vitamins rather than strictly relying on prescription drugs. He shows you how to manage your weight and your glucose intake with a whole-body approach, using nutritional supplements along with dietary and lifestyle changes to lose weight, repair cell damage, improve insulin function, and reduce the side effects from prescription drugs, many of which rob nutrients from the body and cause additional symptoms. 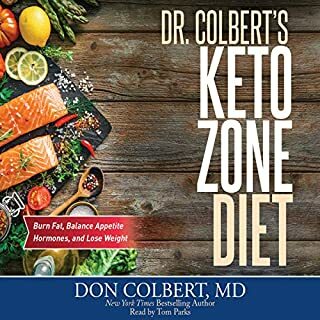 Based on the same life-changing principles of the low-glycemic, high-fiber eating plan provided in Dr. Colbert’s New York Times best-selling book, Dr. Colbert’s “I Can Do This” Diet, this audiobook adapts that plan in a way that makes it ideal for diabetics who need to manage their glucose levels and their weight.